These are the best credit cards for 2019. You can find credit cards in every categories in this page. If you are looking for a good card in a specific category, you can also select it from the menu. We are going to update this list every week. Keep following us! Bonus & Rewards: 30,000 bonus rewards points.3x Rewards Points for car rental, eating out, ordering in, gas, rideshares, transit, flights, hotels, home stays. 1x on all other purchases. 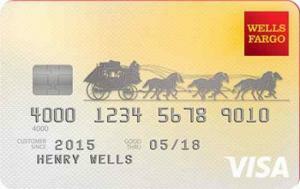 Wells Fargo Propel American Express® Card offers good opportunities to consumers with some good features. 30000 bonus rewards points and 3x rewards points on some purchase categories are making this card quite attractive. You don’t need to pay annually fee for the card. There is also 0% APR for 12 months. It is one of the best credit cards in our rewards category at the moment. 3x rewards points rate at many purchase category. Low balance transfer fee at first 120 days. 3x on car rental, eating out, ordering in, gas, rideshares, transit, flights, hotels, home stays purchases. Bonus & Rewards: 5x rewards points up to $12500 purchase first 6 months. Regular rewards points 1x. 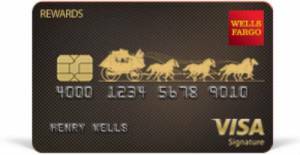 With $625 worth bonus rewards points promotion, Wells Fargo Visa Signature offers the best sign-up bonus in Credit Cards Center. 0% introductory APR for 15 months and no annual fee are other attractive features of the card. Balance transfer fee is also 3% for first 120 days period. $625 worth rewards point bonus. No APR for 15 months. 9.25% APR & No Fees for Cash Advance, Purchase, Balance Transfer! 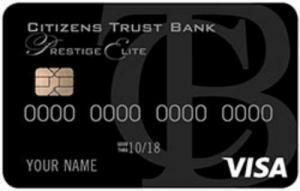 Citizens Trust Bank Visa Prestige Elite Credit Card is providing one of the lowest interest rates to consumers. Besides you are not going to pay most of regular credit card fees with the card. There is only payment for cash advances and it is $1.5 only. Only $1.5 as cash advance fee. There is not any balance transfer fee. You will not pay foreign transaction fee. All APRs are 9.25% for this card. 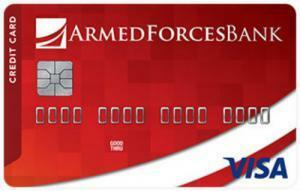 Armed Forces Bank Credit Builder Secured Visa provides good advantages for those who want to rebuild credit and build credit. 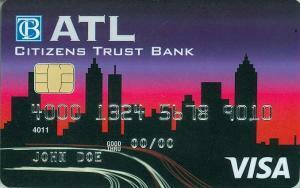 There is no cash advance fee and no balance transfer fee on the card. The annual fee is also reasonable. $25 annual fee is good. You don’t need to pay fees for cash advance. There is also no fee for balance transfers. Bonus & Rewards: 3% cash back for first 6 months. Regular cash back is 2%. 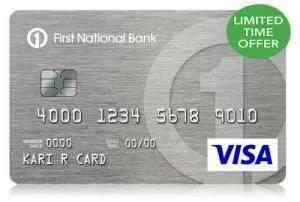 FNBO Cash Back Visa Card offers good cash back rates to consumers. You earn 3% for first 6 months with the card. 6 months later the regular cash back rate is going to be 2%. Other upside of the card, you will not pay annually for it. 3% cash back for 6 months. Bonus & Rewards: 5% Bonus Cash Back. 2% cash back on gas & grocery. 1% cash back on other purchases. 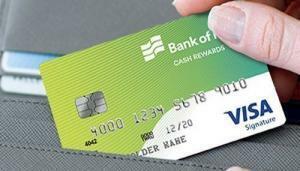 Unlike many other cash rewards credit cards, this card offers low interest rates for consumers. 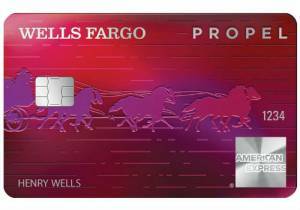 No annual fee, no foreign transaction fee, 5% cashback bonus for $6000 worth purchases in 12 months are some attractive features of the card.The card also offers 0% APR on purchases and balances for 15 months. 5x cash back for 6 months. 2x cash back on gas and grocery purchase. Why this card is so good for build credit? There are many good reasons of this. Firstly this card doesn’t ask any extra payment for balance transfer. There is no balance transfer fee at all. This is very rare and unique feature, especially in credit builder credit cards… The other thing which makes this card super is Cash Advance fee. It is only $1.5 regardless how much cash advance you withdraw. There is no foreign transaction fee with the card. Regular APR is very low when it’s compared with other credit builder cards: 13.74% – 21.74%. All these features are very unique for a credit builder card. Very low APR for a credit builder. Bonus & Rewards: 1 Rewards Points per $1 purchase. 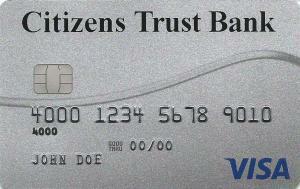 There is no balance transfer fee for this card and balance transfer APR is only 11.25%. You can earn 1 rewards points per $1 which is below average. However there are many other good upsides of the card. You can see it in the list below. Very low APR for cash advance. Low APR for balance transfers and purchase. You will not pay any balance transfer fee. Only $1.5 cash advance fee. Bonus & Rewards: 5000 bonus rewards points. 3x on gas purchases. 2x on Travel and Dining. 1x on other purchases. Despite of disappointing sign-up bonus, Bank of Hope Rewards Visa Signature is providing unlimited rewards points to consumer with good rates. Regular APR is at fair rate. 0% APR for 12 months, no annual fee, no foreign transaction fee, low balance transfer and cash advance fees are upsides of the card. No extra payment for foreign transactions. You can boost rewards points with redeem them for airfare. You will not need to pay APR for first 12 months. Good for travel and gas purchase. 25% more redeem value at air travel purchases from PointQuest Rewards. None None $10 or 4% 23.99% $10 – 3% 0% for first 12 months. Bonus & Rewards: 3% cash back in first 6 months. Regular cash back rate is 1%. Regular APR of the card at the fair rate. The card is providing 6 month 0% APR opportunity for students and 3% cash back for first 6 months. There is not also annual fee of the card. This is one of the top offers for students in Credit Cards Center. 3% cash back in first 6 months. Regular: 13.15%-23.15% 3% Cash back on purchases in 6 months. Bonus & Rewards: Earn 3x rewards points for a category you select. Earn 2x rewards points for 2 categories. 1x on all purchases. 1000 bonus points for $5000 worth purchases. $100 account credit for $20000 worth purchases. 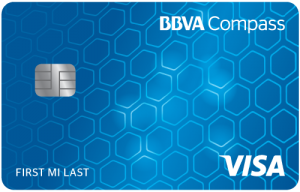 BBVA Compass Select Credit Card is actually good opportunity for consumers since they can select a purchase category with this card. So it can be beneficial for consumers if they make right choices for rewards. However sign-up bonuses of the card are a little bit disappointing. 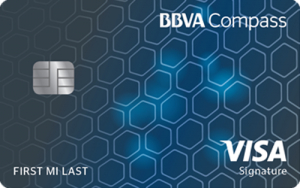 If BBVA could make a nice promotion for sign-up bonus, we believe that this card could be much better. Good cash advance fee rate. You can pick purchase categories. You pick a purchase category for 2x and 3x rewards. Rest of purchases are 1x. Bonus: Earn 1000 rewards points every month for $5000 purchase. BBVA Optimizer Credit Card is one best credits card for consumers if they don’t have any credit history. 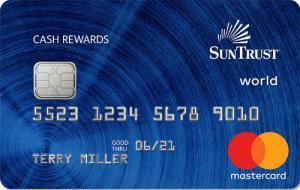 The card is providing fair APR rates for purchase and balance. Annual fee is also reasonable. Fair APR rates for purchase and balance transfer. Maximum cash advance and balance transfer fees are reasonable. Bonus & Rewards: 3% cash back to travel. 2% cash back on dining. 1% cash back to all purchases. Introductory APR: None for purchases. 15 months for Balance Transfers. 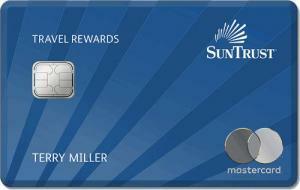 SunTrust Bank Travel Rewards Credit Card is a good card for travellers who wants to gain cash backs on purchases related with travel. The card also providing 2% cash back on dining. 3% cash back to travel, 2% cash back to dining, 1% cash back to all purchases. There is no foreign transaction fee on the card. This will help you to save a lot if you are visiting abroad often. APR rates of the card is fair.